+ unlimited tots & fries! Stop in for our new Tuesday Burger Night! Enjoy a handmade 8-oz. 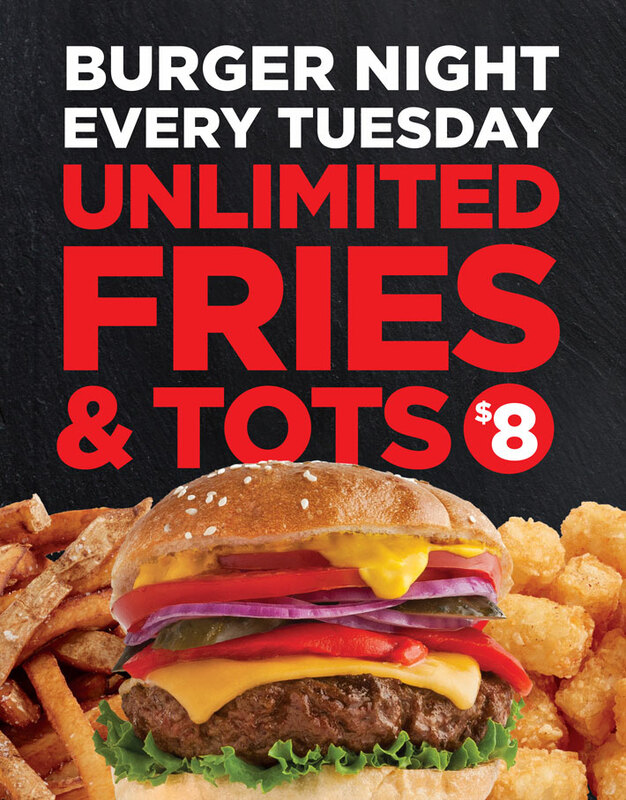 burger and unlimited tots and fries for only $8! Available at Market Grille, Market Grille Express and Hickory House Comfort Foods departments starting at 4 pm.